There are many cool gadgets on today’s fishing market. One of them being the trolling motor. Technology has come so far and enabled anglers to do things we never thought possible. However, with all this innovation can come confusion. If you do not know how to operate these advanced pieces of tech, what good are they? 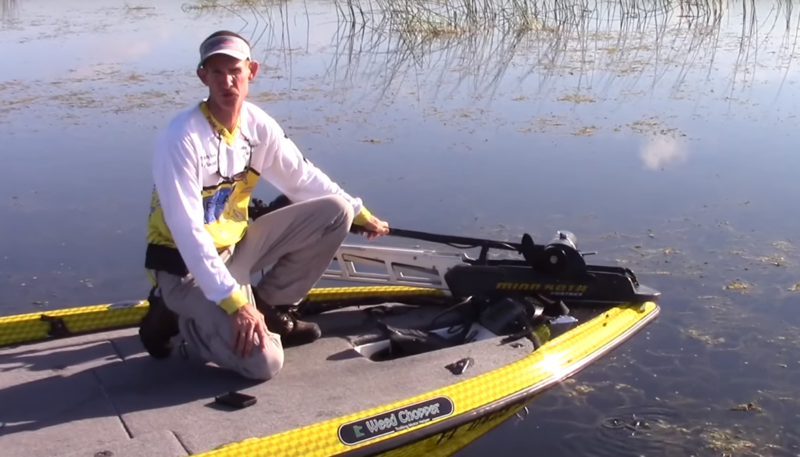 Never fear, our guide on running a trolling motor is here! The first step in using your trolling motor is deploying it into the water. 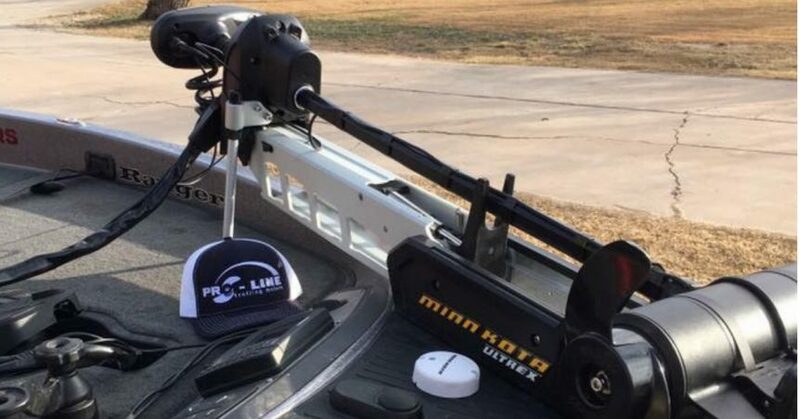 All bow mount trolling motors come with some form of handle to help anglers launch the motor into the water. Simply pull the cable or cord backwards/towards yourself to release the locking pin. This pin allows the trolling motor to stay put while in transit. Typically, you will hear the pin move. While still pulling backwards, lift upward on the cord or cable to move the motor from its travel-mounted, flat position to its deployed position. Some higher end trolling motors have a hydraulic arm built in that assists the angler in both deploying and pulling up the motor. If your trolling motor does not have this, it is not a big deal. You will just have to use a bit more power to deploy and stow your trolling motor. When it is time to pull up the motor, again you must pull the cable backwards to release the locking pin. Pull the trolling motor out of the water and place it back in its initial, flat position. You should here the locking pin click into place and at this point your trolling motor should be secured for travel. An all-too-common mistake even veteran anglers make is thinking their is something wrong with either the trolling motor itself or their batteries. Oftentimes, they have forgotten to turn on the trolling motor. Most motors have a master power switch located somewhere on the foot pedal. Make sure this switch is in the ON position. Additionally, the speed dial on the foot pedal must also be turned to a speed setting and away from the OFF position. Most all of today’s trolling motors have a directional arrow on the head of the trolling motor. 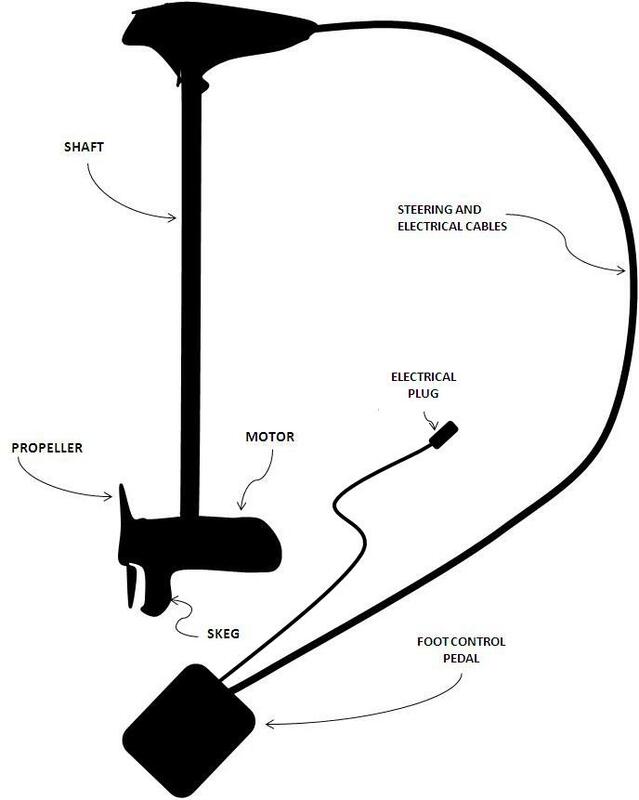 This indicates the direction the motor will take the boat if the trolling motor is turned on. If you are first time user, get a feel for how much pressure you need to apply on the steering pedal to get the boat to go a certain direction. Typically, when the steering pedal is pushed forward (toe downwards, heel up), the trolling motor will turn to the right. When using your heel to push the pedal backwards (toe upwards, heel down). 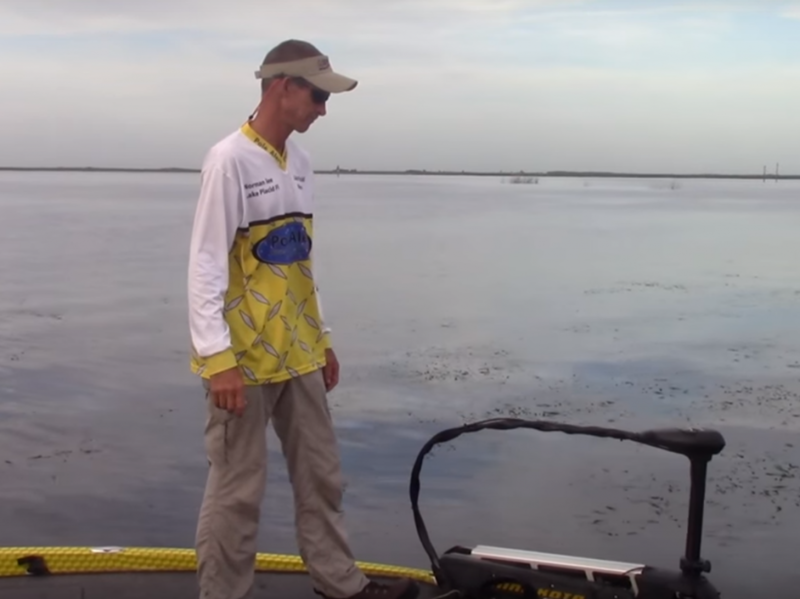 The best way to get the hang of steering and operating a trolling motor is practice. 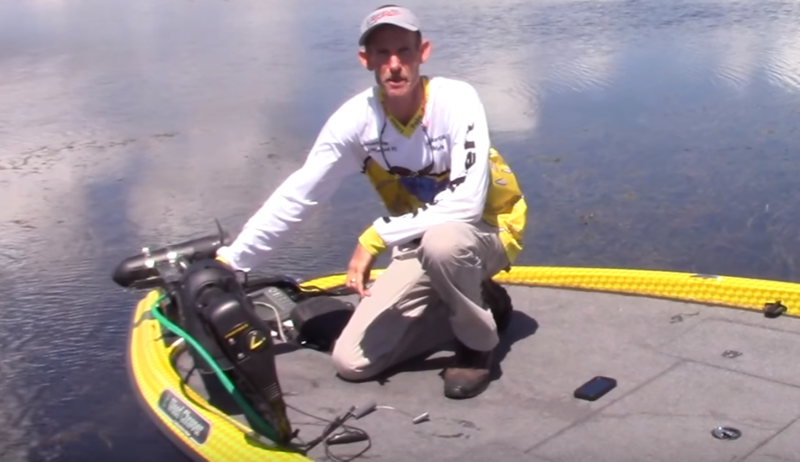 Don’t make your trolling motor and batteries work harder than they have to. If you are using a bow mount trolling motor, most likely you will run into vegetation at some point. With the new and improved propellors for these motors, oftentimes you are able to drive right through weeds without problems. However, sometimes vegetation becomes too thick and the motor can not get through by simply turning the speed up or turning the motor back and forth to try and shake them off. Take the few seconds, pull the motor out of the water, and remove the weeds by hand. These motors are built tough, but too much unnecessary use with weeds wrapped tightly around the prop or shaft can cause parts to wear out or break. 1. Pull your outboard up to reduce drag on the boat. This ensures the outboard doesn’t collect unnecessary vegetation and drag, putting more strain on your trolling motor and batteries. 2. If possible, try not to constantly adjust the trolling motor. These inconsistent blurbs of power drain your batteries quickly and can scare fish. 3. Get an onboard charger with float charging capabilities if you don’t already have one. Plug in your batteries after each outing to ensure a full charge every time you get on the water.